Welcome to Meal Planning 101. This is a workshop that I did with a group of women in my church. I thought you might be interested in it too! What is it? Menu planning consists of planning meals for a week at a time, or longer. 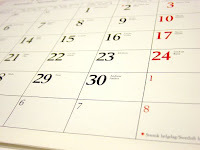 Placing your planned meals on a calender, and grocery shopping for those meals. Why? Menu planning is a great tool to use in your home for many reasons. How many nights have you wandered in the kitchen, and stood in front of the cupboards wondering what you were going to make for dinner? If you had your meals planned out, you would know what you were making right away. It also saves time in the grocery store, by utilizing an organized shopping list. No more random purchases! *In my house, my husband is only home for dinner 2 nights out of the week. It's so easy and tempting on the other nights to just feed the kids something simple and easy. Microwavable. Ten second dinners. However, that is not healthy! By having my meals planned ahead of time, I can get a good meal made with less stress. And who doesn't like to save money? By planning your meals, and your subsequent grocery list, you buy only what you need. Having meals planned, and groceries in the home, also cuts down on grabbing food at a fast-food joint on the way home! No matter how crazy your day is, you know what's for dinner. You can glance at your calender in the morning, and get out the meat to defrost, or set the crockpot up! No matter how tired you are, dinner is almost done! So, here's the first assignment! Write down 15 meals that you enjoy in your house. Just get those meals on paper! Here is my list if you need some help getting the juices flowing! Come back on Wednesday to see what to do with your list! **If you already plan your meals, WHY? I always meal plan. Only because of our pay weeks, I plan weekly.I can't imagine not doing it.The week goes smoother, and you are right, I do save money at the grocery store.One of the other reasons is that I do not like to grocery shop, so this helps me to only go once a week, unless I need to pick up milk or bread. Thanks for sharing your list, it gave me some more dinner ideas! A couple of friends and I started a dinner club this weekend, where we are only making dinners for our freezer. We made mexican lasagna, spinach lasagna, chicken casserole and bread sticks. So there I already have 3 dinners just ready to go into the oven. A dinner club sounds like a great idea! I enjoy meal planning. Especially these days. We have a very limited budget so I have to make sure we can still have healthy meals. I currently dont plan meals!! I know it would be sooooooo much better on the pcoketbook to plan them though. This series of posts is going to be wonderful! I love to plan out my meals. Some weeks are much better than others, but I always have a general idea.